Robe got behind UK based lighting designer Simon Brockwell of SBLD to assist the facilitation of his innovative interactive work ‘The Nocturnal Pianola’, one of the eye-catching exhibits at the 2013 Vivid Festival of Music, Light & Ideas in Sydney, Australia. The Festival featured around 60 major lighting installations all located in and around the downtown area of the city after dark, spread across 18 days in June. It attracted approximately half a million people who came to enjoy and experience some of the wonders and thought-provoking and imaginative properties of light as a live art form. Robe has always been interested in creative arts projects, and Simon’s initial contact with Robe was with Ashley Lewis, key account manager for Film, Theatre & TV from the UK office. The two have worked on some previous projects together. Ashley put him in touch with Robe CEO Josef Valchar to whom Simon explained his ideas and intentions for Vivid 2013. Says Josef: "We feel it’s really important to encourage people who are engaging with lighting in imaginative and dynamic ways, and apart from Simon’s passion for the project, I was really impressed with the way he thinks generally about light and lighting – it’s something from which we can all learn." Keen to support the project in the most practical way possible, Josef put Simon in touch with Robe’s very proactive Australian distributor, The ULA Group. They in turn helped him source equipment to use for The Nocturnal Pianola installation via their local rental partners. Robe then funded a student bursary which allowed Simon to take an assistant to Australia. From a myriad of applicants, Simon selected Jaz Hewitt, a first year lighting design student at London’s Royal Central School of Speech & Drama. Simon expands: "Robe agreed that the opportunity to exhibit at Vivid and to share the experience of Vivid 2013 with a potential young LD of the future was invaluable, and so a big thank-you to them for finding the bursary." Josef adds: "Encouraging the next generation of emerging industry talent is an area to which Robe is fully committed." 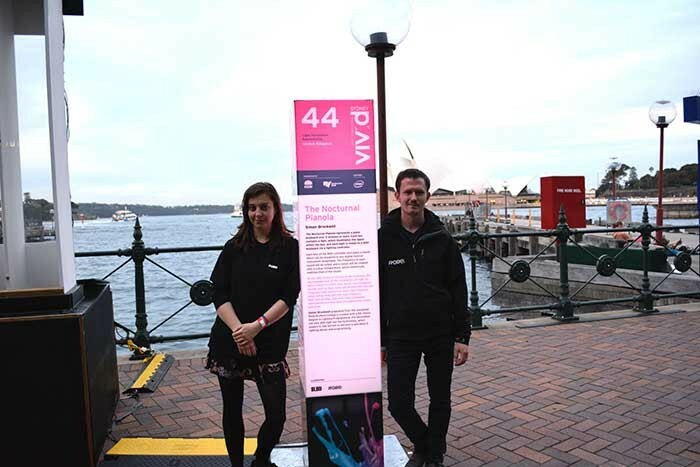 Both Simon and Jaz really enjoyed working on Vivid 2013, and producing ‘Nocturnal Pianola’ which was incredibly well received by the public, the event organisers and other artists. Simon sums up: "What I really enjoyed most about exhibiting at Vivid was the transition from being a lighting designer to artist. While most LDs are artists, they are often not seen or appreciated as such – so it was a fantastic opportunity." 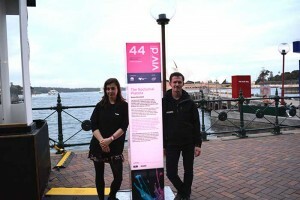 For Jaz, attending Vivid was enough of an experience in itself, but working alongside ‘Nocturnal Pianola’ enabled her to expand both her creative vision and practical knowledge. "Having seen how the interactivity of our installation could bring happiness to so many people and bring a community together through light and music has been hugely inspirational," she enthuses. Robe continues to be a keen supporter of visual arts and performance projects worldwide. Other recent activities include working with the Zip Zap Circus in South Africa and The Caravan Stage Company in Canada and Italy.